Where does the heat come from in a chili pepper? Why is wild salmon darker than farmed? Does searing meat really "seal in" the juices? 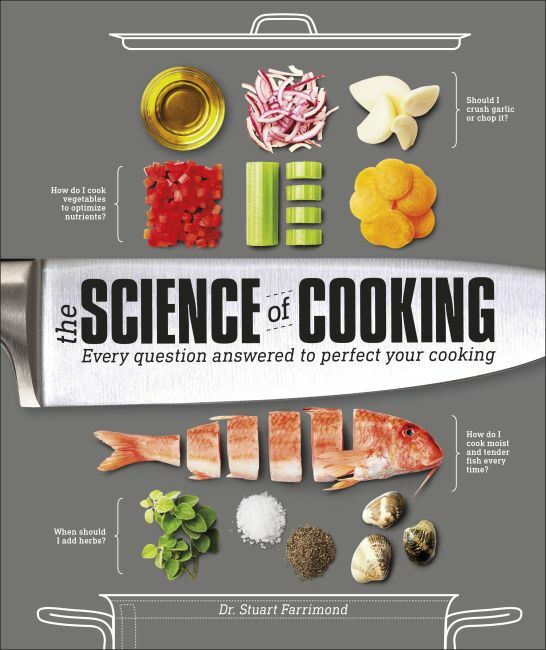 A good recipe goes a long way, but if you can master the science behind it, you'll be one step ahead. Specializing in food science, Dr. Stuart Farrimond is a science and medical writer, presenter, and educator. He makes regular appearances on TV, on radio, and at public events, and his writing appears in national and international publications, including the Independent, the Daily Mail, and New Scientist. An avid blogger, Stuart is also the founder and editor of online lifestyle-science magazine Guru, which is supported by the Wellcome Trust, the world's largest medical research charity.